This meme was started by Books by Proxy, whose fabulous idea was to compare UK and US book covers and decide which is we prefer and is currently hosted by Lynn’s Book Blog. 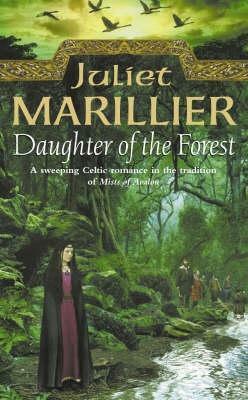 This week the theme is a cover featuring a knot or knots, so I’ve selected Daughter of the Forest – Book 1 of the Sevenwaters series by Juliet Marillier. This cover, produced by Tom Doherty Associates in February 2002, has a lovely Celtic feel about it – and the reason why I’ve selected it, is for the Celtic knot detail on the F. I really like this cover, as the cover content and overall feel aligns well with the beautifully told story. The only thing that spoils it is that ugly red text box running along the bottom. This Portuguese edition was produced by Bertrand Editora 2002 has a similarly lyrical feel. The artwork is lovely and I particularly like the moody colour palatte of greens and blues, while the Celtic knotwork and the swan motif top and bottom is delightful. My only grumble about this one is the bright orange font, which is jarring. Despite that, this is the one I like best – although this week there aren’t any I dislike. 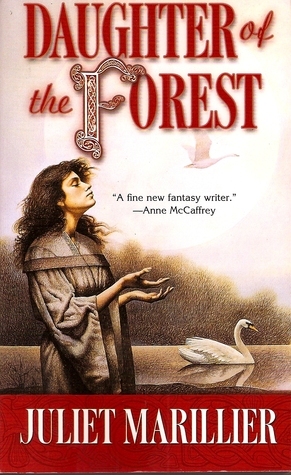 Published in 2001 by HarperCollins, this cover features a forest exactly as I’d envisaged the one within the book – dark and full of gnarled tree roots and tangled vegetation. It’s nice to have the brothers on the river bank, too. While I appreciate why we have the scene with the swans flying above the knotwork, I do think it gives the cover a rather odd appearance. 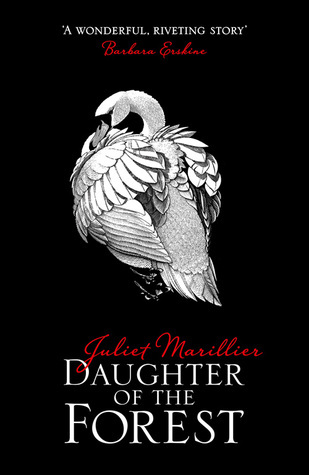 This HarperCollins edition, published in October 2015, is clearly going for a more modern feel with the plain black cover featuring the swan. It is certainly eye-catching, but if I didn’t know this wonderful book is the first in an awesome series, I don’t think I would pick it off the shelves. 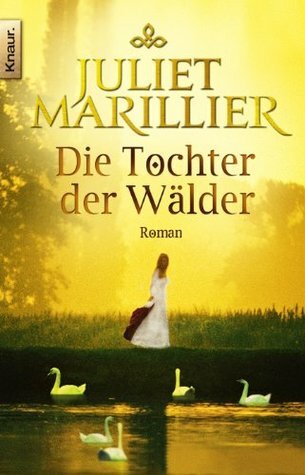 This German edition, produced by Knaur in April 2011, is also lovely. The golden suffused light as the backdrop works really well and I like the fact that Sorcha is in the background, with the swans in the foreground swimming towards her. The only thing that isn’t quite right is her reflection. Which is your favourite? Oddly enough, it’s the HarperCollins 2015 cover that’d have me pulling the book down from the shelf, and quite possibly buying it. I was aware when I included it that this one would have some appeal – and there is absolutely nothing wrong with it. I think this collection of covers will be more down to personal taste. I think it’s a tie for me between your choice and the Harper Collins – on balance probably the Harper Collins book. Great choice of books – I nearly used this for my pick this week but I’ve not read it so tried to look at my read books first. Yes – I did think the HarperCollins cover would get some love – it just didn’t do it for me:). It was something of a challenge to line up a book for this one, wasn’t it? So I was RELIEVED when I recalled this book! I like the fifth one the best. The second one would be my next choice. I think I would have chosen this one if it hadn’t been for the oddness around her reflection, which I know sounds picky – but the more I looked at it, the more it rankled. Which is a real shame as it is a beautiful cover. Oh I like the Portuguese one! I didn’t really like the book all that much but these covers are overall awesome. Oh, I adore this book! 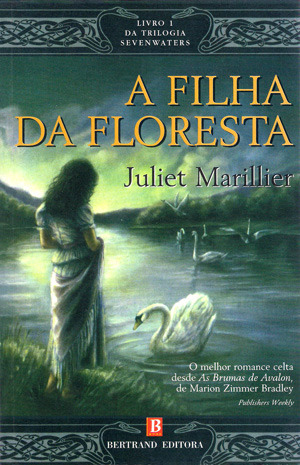 I thought I’ve seen all the covers, but this might be the first time I’ve seen the black one with the white swan. I think the novelty of it is what’s drawing me to it, but I agree, it doesn’t really tell me anything about the story and it probably wouldn’t make me pick it up. That was certainly my reaction, Mogsy:). But it’s interesting to see that is the cover which a number of folks prefer. Glad you also love this book so much! I loved this series – it’s beautiful. But only recently had I heard of the Blackthorn and Grim series, so Himself went out and bought the first book, which has now been added to my TBR:). I like the second one with the green colours and the swan. Definitely the black cover with the swan for me. The others are not my style at all, unfortunately. I need to get back on board with Faceoff Fridays! That’s fine:). I’m guessing that was why they brought out the black cover – to appeal to those who wouldn’t look at the more traditional covers. Yes… the more the merrier on Friday Faceoff:)). It’s so interesting to see each week which book you pick and how different the multiple editions are. Interesting how the first cover is red, then two green ones, a black one and also a yellow one. The first one has a nice Celtic feel indeed, although i agree with you about that the red line at the bottom, it doesn’t really work for me either. I like how the second and third have such a green and forest-y feel, which sure fits the title. I think the first two covers are my favorites as well. Thank you, Lola – yes, I really enjoy this meme. I try quite hard to choose books that I’ve already read so that I can really judge if the covers accurately represent the content. Yes… there is quite a spread of colours with this one, isn’t there? I like the third one, because of the forest 🙂 I have been in such forests and know the feel of magic. This cover is inviting the reader to a different world. Yes, this one does the forest really, really well. I think it’s no accident that it is set in Ireland:). Yes… it really does, doesn’t it?